The Base, situated within the Salts Recreation Ground in Seaford, is a facility available for hire by local residents, community groups and organisations. 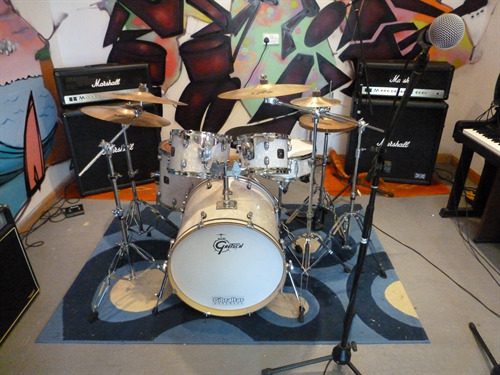 It is largely used by local bands that require a space for rehearsals without the risk of disturbing others. The Base is ideal for this in that it is centrally located within the Salts Recreation Ground with ample parking nearby. The Base is well equipped with the basics needed for a rehearsal space; a drum kit, amplifiers, keyboard, freestanding microphones and stereo. The Base is available for one-off hires or can be booked on a regular basis. Picture: Equipment available for use within The Base.